Bruce was happiest though with the clean sheet. He said: "We'd had all week to prepare for this one and having conceded eight goals in our last five games, we had to improve defensively. "We needed to stop the mistakes and we worked all week on a shape and discipline that got us to the top of the league in November. "We know we've got people who can get us a goal with the likes of Diame, Snodgrass and Hernandez, so we know that if we can make sure that we don't give anything away at the back then we'll always have a chance. That proved to be the key against Burnley. "It wasn't a defensive performance by any means. We played on the front foot, but as a former defender, the first thing I look at is being solid at the back and that is probably a criticism at times. "We've beaten Burnley 3-0. It could have been four, it could have been five, but for me, it was the discipline of our team that was the key. They only had two shots in the first half and that pleased me. "This performance was more like us. It was massive for us because we were disappointing against Rotherham last week. I didn't enjoy my Sunday last weekend and I made sure the players didn't either. Thankfully, the players have responded in the right way and if we play like that regularly then it will take a good team to beat us." 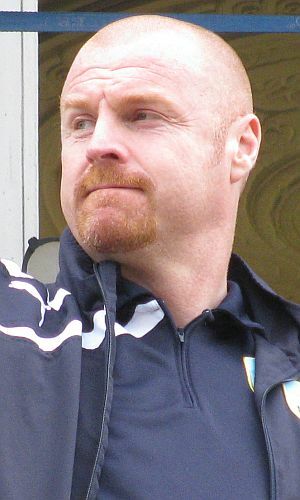 "I'm just pleased to have a game back at the Turf so quickly," Dyche said after the game. "It's become a good place for us, so we're looking forward to that." On the defeat, his heaviest Championship defeat as Burnley manager, he said: "We have to create better chances, particularly away from home. We just didn't change the tempo enough today. We played at a pace that was adaptable for the opposition and we don't normally do that. "Last week against Charlton, it could have been seven or eight, but today we didn't create anywhere near the chances. "We all know they are tough here. Hull have only been beaten once here this season, so you know there's a challenge there. It's just a tough one to take and we don't enjoy that. "It is a tough defeat to take because for 55 minutes there was nothing in the game. They scored and we had the chance to react and didn't take it. That's a shame because you just sensed today there was that little edge to the crowd. "At 1-0 it drops kindly for Andre and you'd put your mortgage n him. Andre has a strong mentality though and we know that because he missed two last week and scored a really tough one. "He'll not be too damaged by today, but I just didn't think it was his day and that's why I brought him off. He's still learning his game and about the game and people forget that."